The Super eagles might have crashed of the world cup despite having positives but the biggest technical and tactical question is the position of playmaker. 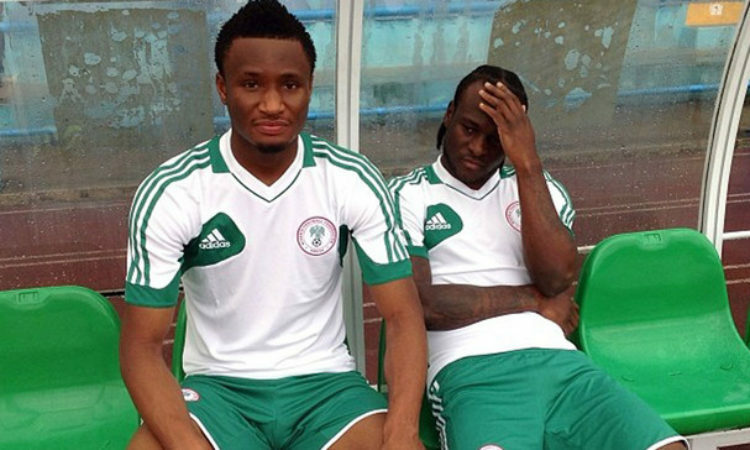 It is no longer news that John Obi Mikel is approaching the twilight of his illustrious football career with the Tianjin TEDA midfielder recently turning 31yrs of age. John Obi Mikel who began their 2018 world cup campaign in the No 10 position had to adjust to a defensive midfield position due to his inability to keep up with the position. The dilemma have become who fills the position with players already shown interest both on and off the pitch. Alex Iwobi have already shown interest in filling the void left by the Nigerian skipper. The Arsenal attacker prior to the World football tournament revealed his interest to the head coach as well as football media. Iwobi believes he has the quality and calmness to excel in the position. Etebo remains another player whose approach and attitude towards football have placed in contention for the position. While Alex Iwobi have made his statement off the pitch, Etebo made his on the pitch with the Stoke city midfielder impressing in his first world cup outing and was voted the best Super eagles midfielder in the world cup. Kelechi Nwakali remains another footballer who could very fill in Mikel’s shoes at the No 10 role. The Nigerian footballer dazzled in his last appearance in the friendly against Athletico Madrid and could yet provide an option for the attacking position. The final decision relies on the head coach of the super eagles depending on his approach and philosophy. Nigeria will need to sort out the issues before the 2022 showpiece in Qatar.